The Neighbourhood Area was proposed by the interim Forum as part of its initial formation. It was approved by the London Borough of Ealing and designated as a 'business area' on 29 October 2012. The map of the approved area is shown below. 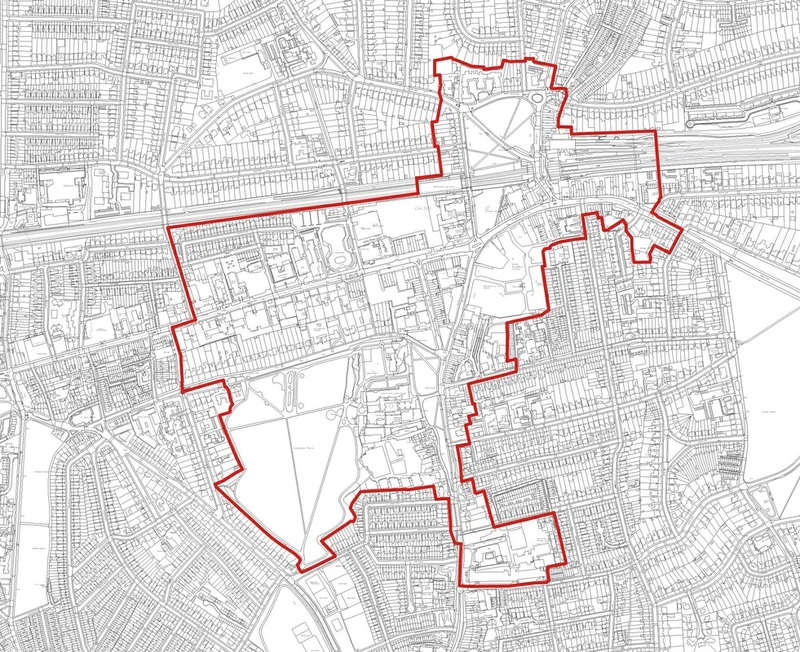 ​How the area sits within the borough and the Ealing Metropolitan Town Centre can be seen here. 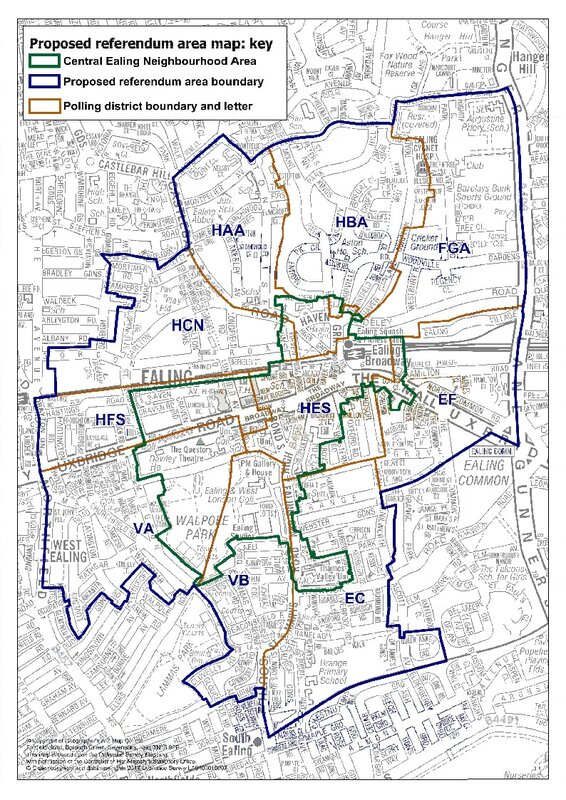 Before the Central Ealing Neighbourhood Plan can come into operation, it has to be approved by a majority of the votes cast in two parallel referendums - one of residents and the other of businesses within the Neighbourhood Area. However, the Examiner can recommend that the vote should be open to those living in a larger territory, if it can be shown that the plan proposals will have a 'substantial, direct and demonstrable impact' beyond the neighbourhood area. Several people responded to the Council's public consultation by saying that that the Referendum Area should be expanded. The report from the independent Examiner recommended that a wider area, as suggested by the Forum in a separate paper here and shown below, should be used and this has now be accepted by the Council.